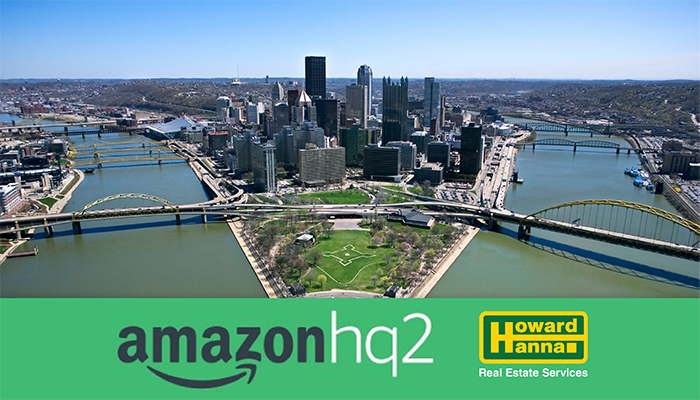 Chairman Howard W. “Hoddy” Hanna, III was interviewed by the Pittsburgh Post-Gazette for his thoughts on the Pittsburgh housing market and how attractive it makes the city to Amazon for HQ2. Read more here. “Coupled with the fact that NOT only would we be able to accommodate anyone moving here to work at Amazon BUT Carnegie Mellon Robotics is here, as well… which tells me Amazon and Robots (drones, etc) …. The New City of OZ -” Somebody call the Jetson’s… it’s about get crazy cool! Thank you :).